Crumbled concrete, twisted metal and mounds of brick still lay scattered across Christchurch, New Zealand. About 250 buildings and 341 homes have been deemed unsafe by investigators. But amid the reports of devastation, the worse news is the rising death toll. According to the New Zealand Herald, the official number of deaths for the Christchurch earthquake has risen to 145, and more than 200 people remain missing. Today (Saturday, Feb 26 in New Zealand) there have been 16 earthquakes, ranging from 2.0 to 4.1 magnitude. And on Friday afternoon two violent aftershocks, measuring 4.4 and 3.3 sent more masonry crashing down, distressing the nerves of rescuers and survivors in Christchurch. On day 5 of the Christchurch quake, hope of finding more survivors in the rubble is fading. Meanwhile, the Los Angeles Times reported that there were about 600 unreinforced masonry structures in Christchurch and that the majority of them suffered some damage during Tuesday’s quake. However, California has about 7,800 such buildings in high-seismic zones. A sizable quake on any of California’s known faults could cause major damage. Then there are all the unidentified faults in Southern California. The Christchurch quake occurred on a previously unidentified fault system. According to the USGS, the quake striking near Christchurch, New Zealand today was of magnitude 6.3. At a depth of 3.1 miles, the quake has already claimed 65 lives. And the city is still being hit by numerous aftershocks. This is a much shallower depth then the quake that struck the region in September. A 7.1 earthquake struck the city then. With residents already on edge, this quake has caused many to panic. The Christian Science Monitor reports collapsed buildings and major damage to downtown buildings including the Christchurch Cathedral. Christchurch is the country’s second largest city, where about 26,000 employees work full-time. The Daily Mail reported, “The quake was caused by the continuing collision between the Pacific and Australian tectonic plates, said Professor Mark Quigley, of Canterbury University.” New Zealand records more than 14,000 earthquakes a year, but only about 150 are felt by residents. Fewer than ten a year do any damage. If you’re at all like me, you enjoy watching disaster films. Asteroid collisions, volcanic eruptions, mega earthquakes, are all events I love to see (fictionalized—not the real thing). Today the Syfy Channel has a disaster film marathon. With movies like NYC Tornado Terror, Category 6: Day of Destruction, Megafault, and Volcano: Nature Unleashed, scientists and regular citizens scramble to prevent the ultimate disaster that will end the world. In these films earthquakes, volcanic eruptions, or extreme weather systems threaten the world as we know it. I examined what it is I love so much about these kinds of movies and here’s what I discovered. There are people out there who dedicate their lives to studying our planet—disaster films give them the recognition they deserve—as it is often their expertise that saves mankind. The threat of disaster or dealing with the aftermath of the disaster brings people together, giving a sense of hope for the future, that facing the worst the planet has in store for us, we will survive. I also like that sense of survival that comes out in these films, people have to use their wits to stay alive, they have to step up and be brave and do whatever it takes to live. Another thing I enjoy is the often thought-provoking question that many of these films ask. What about you? Share your thoughts on this topic. 2010 has proved to be the deadliest year for natural disasters. This year alone, earthquakes, volcanoes, tsunamis, and landslides have killed a quarter of a million people. It started on January 12, when Haiti’s devastating 7.0 magnitude earthquake killed more than 230,000 people and left more than 1 million people homeless. On February 27, a massive 8.8 magnitude earthquake struck Chile, killing more than 500 people. 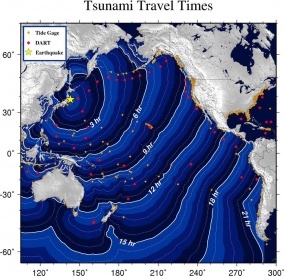 That quake also generated a tsunami that further incapacitated the region. March brought about the eruption of Iceland’s Eyjafjallajökull volcano. Melted ice from the glacier caused floods that led to the evacuation of 800 Icelanders, and volcanic ash forced the closure of air flights that stranded hundreds of thousands of travelers. On April 14, a 6.9 magnitude quake rocked Yushu, China, killing 3,000 people and injuring more than 12,0000. May 27 and 29 hit Guatemala hard. Pacaya volcano erupted first. Two days later a tropical storm caused destructive landslides. July brought devastating floods to Pakistan, killing about 2,000 people and affecting millions more. In August, China’s Gansu Province experienced massive mudslides that killed 1,500 people. And in October, Indonesia endured both a tsunami and the eruption of Mount Merapi volcano. Hundreds of thousands of people were evacuated and 350 people were killed. As we reflect on the enormous loss of life, we can only hope that Mother Nature is kinder to us in 2011. I read a recent blog post over at Medieval Minds about Catalonia earthquakes of the XIV and XV centuries. Author Ann Scott, who is a medieval historian, sites a book, Historical Seismology, that features a study of the Catalonia (NE Spain) quakes. The study, which concluded in 2006, was conducted to evaluate the potential seismic hazard and to evaluate the quakes using standardized criteria. The findings were reported at the First European Conference on Earthquake Engineering and Seismologythe same year in Geneva, Switzerland. In the XIV and XV centuries, only eight earthquakes of magnitude 5.0 or higher occurred, with the largest at magnitude 6.5 occurring in 1428. I wasn’t sure why the study was barely taking place in 2006, but as I thought about Scott’s post, I was reminded of the value of scientists studying the seismic history of a region. While earthquakes can’t be predicted yet, research provides fault history and field analysis that helps geologists estimate earthquake probabilities. Armed with evidence of a probability of a large quake, scientists and authorities are better able to convince citizens to prepare themselves.